A Collection of 50 Assembly Stories with a Teaching Point. Especially designed for your mobile phone. Keep a copy on your Phone or Tablet. Ideal for every day Assembly use or for those last minute unexpected Assemblies. Attitude – What Type of Person are You? 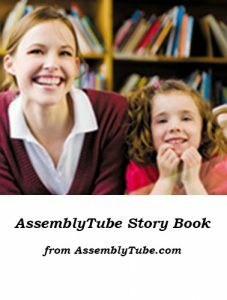 This AssemblyTube Story Book is in the epub format which makes it ideal for mobile phones and tablets. Download directly to your iPhone or iPad, or Android based phone or tablet. Then use your ebook reader software to read the book comfortably. On the iPhone/iPad we recommend the iBooks software that comes free with your device. On Android we recommend the Aldiko app available free from the Google Play Store. Any ebook reader software should work provided it is capable of reading epub files.